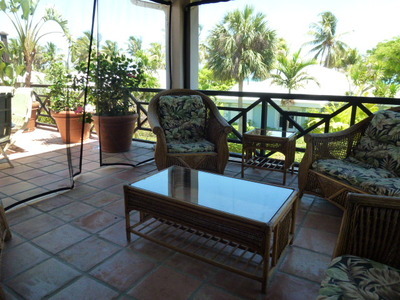 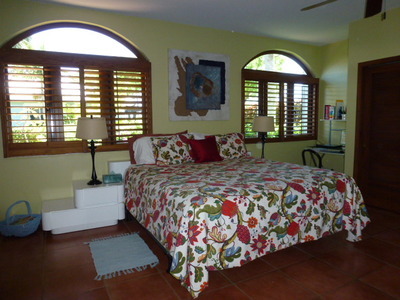 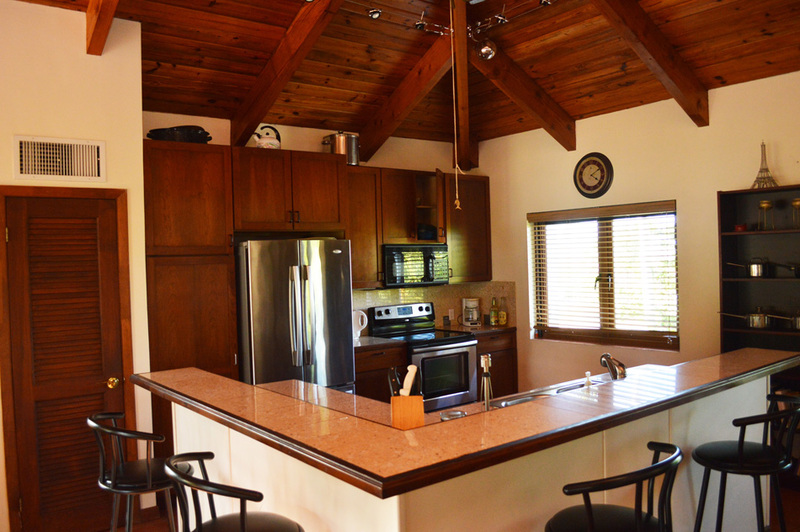 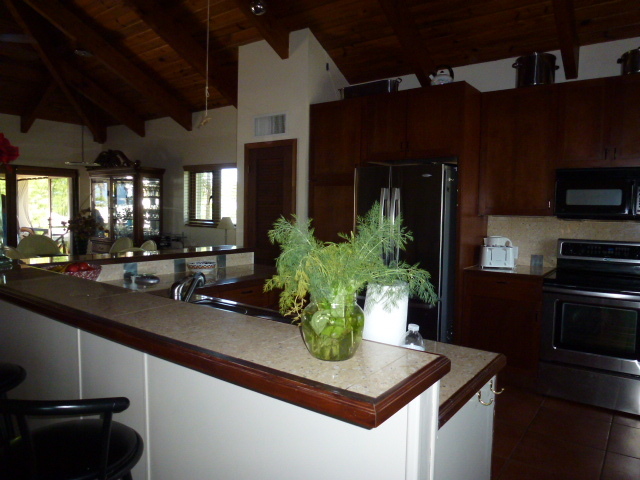 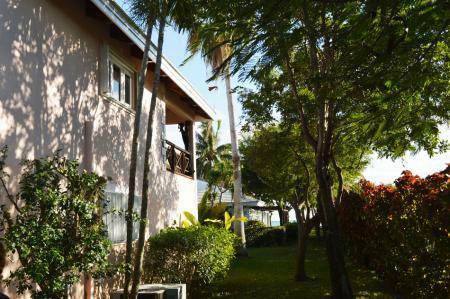 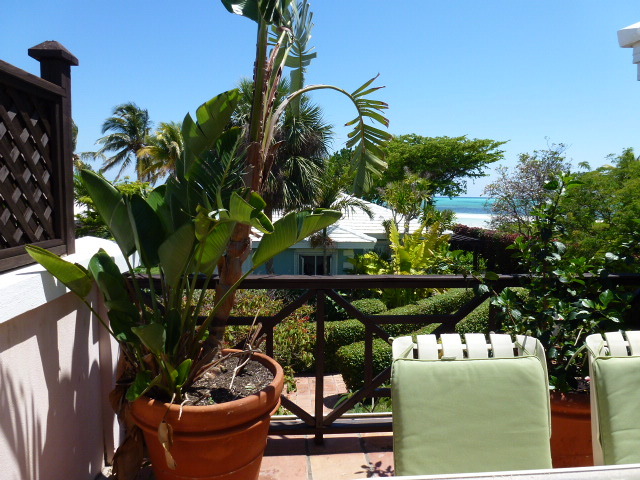 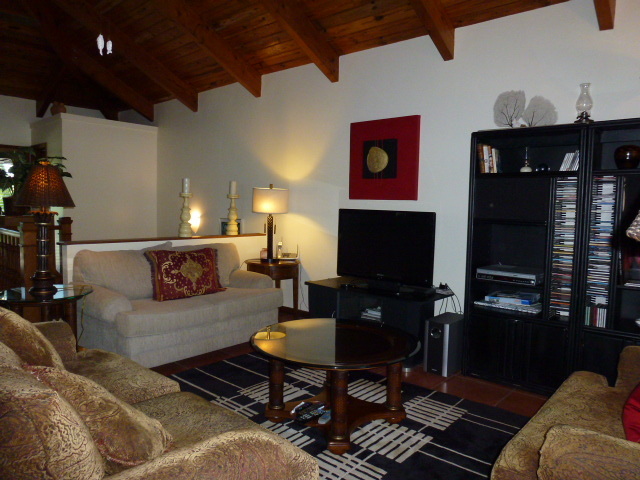 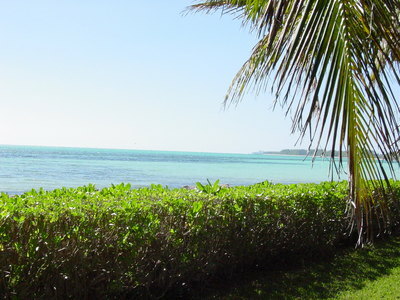 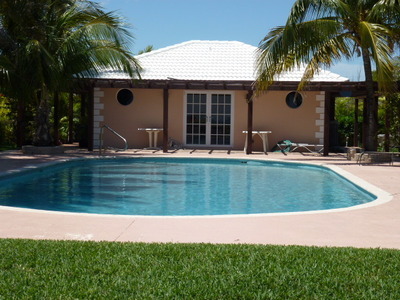 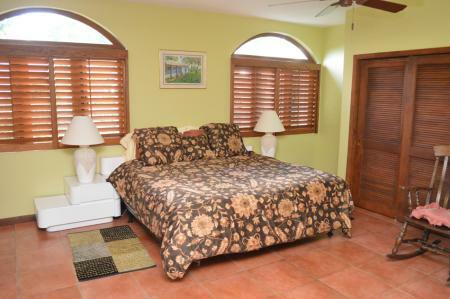 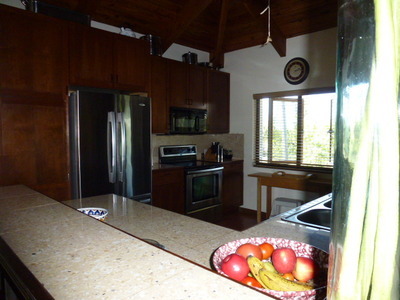 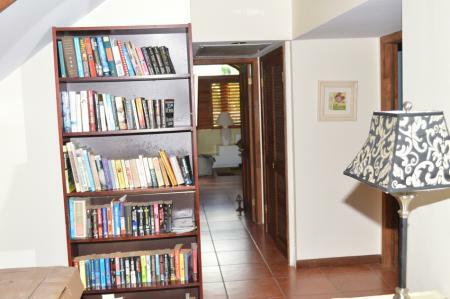 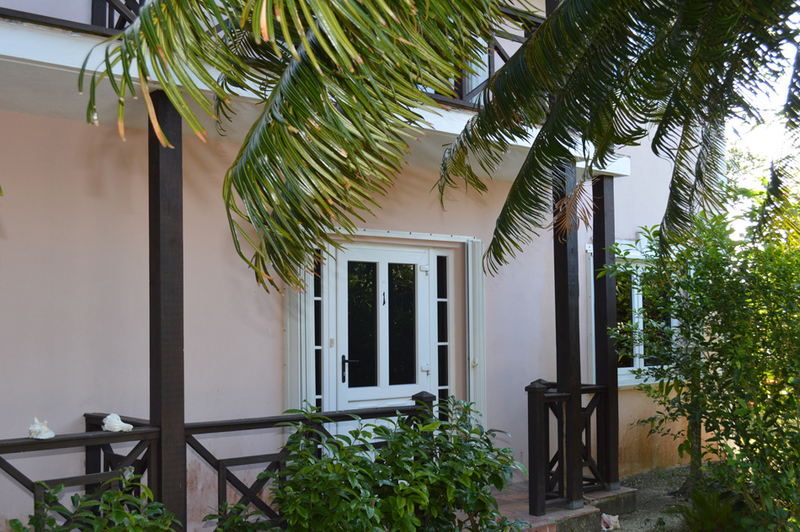 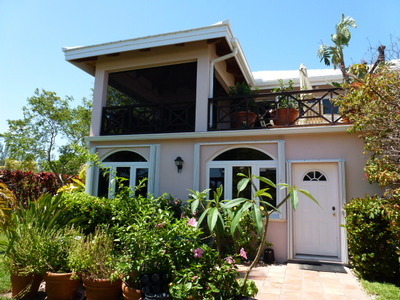 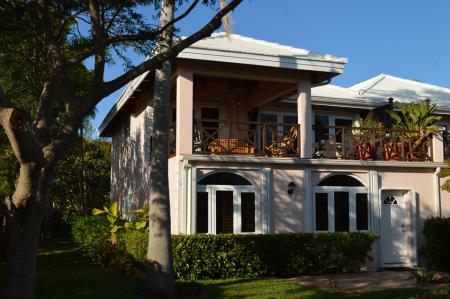 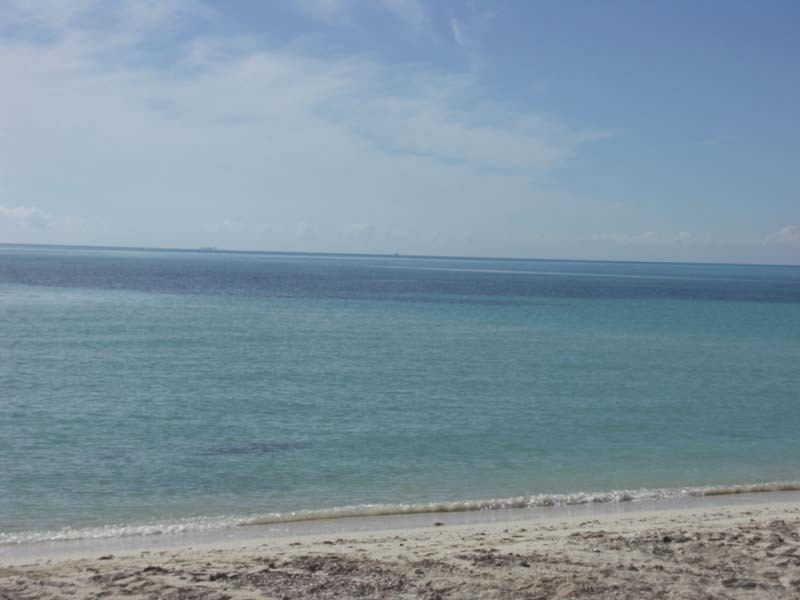 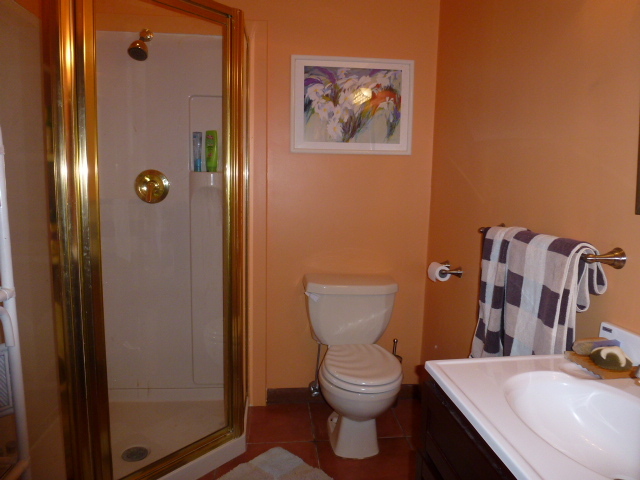 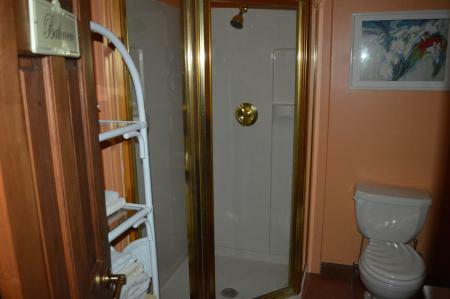 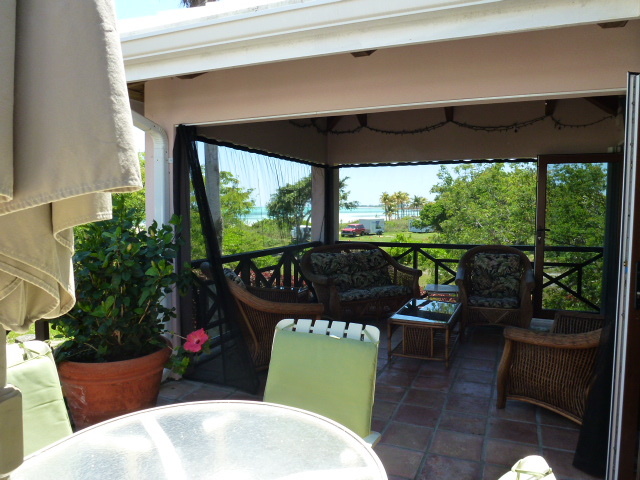 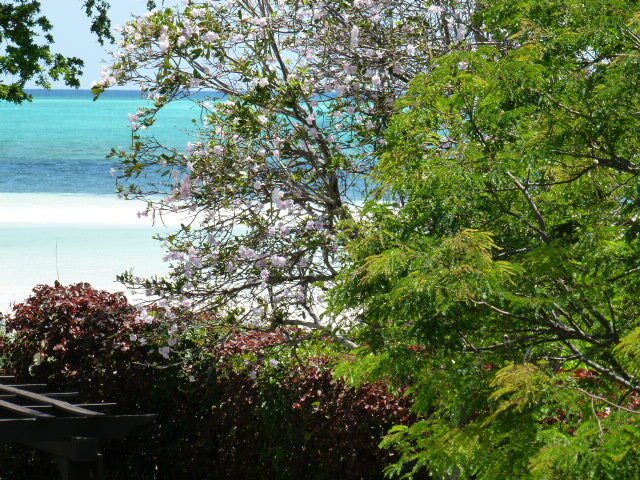 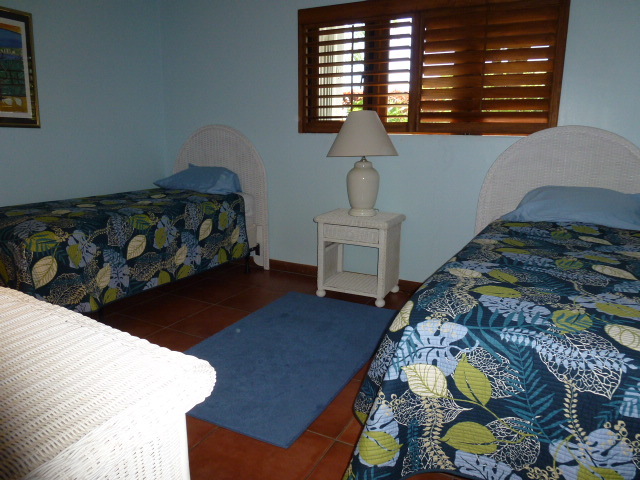 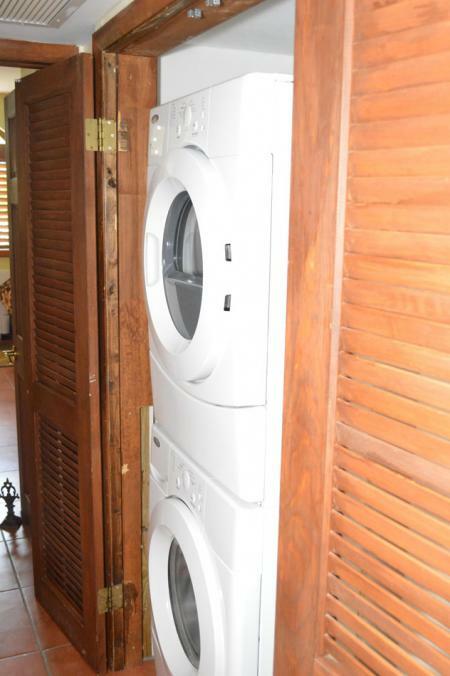 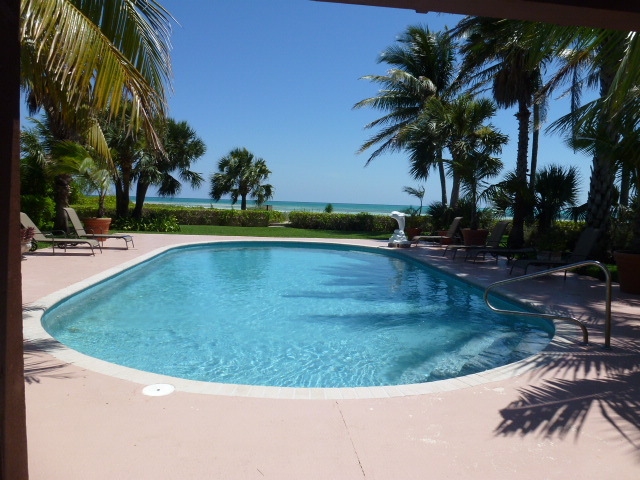 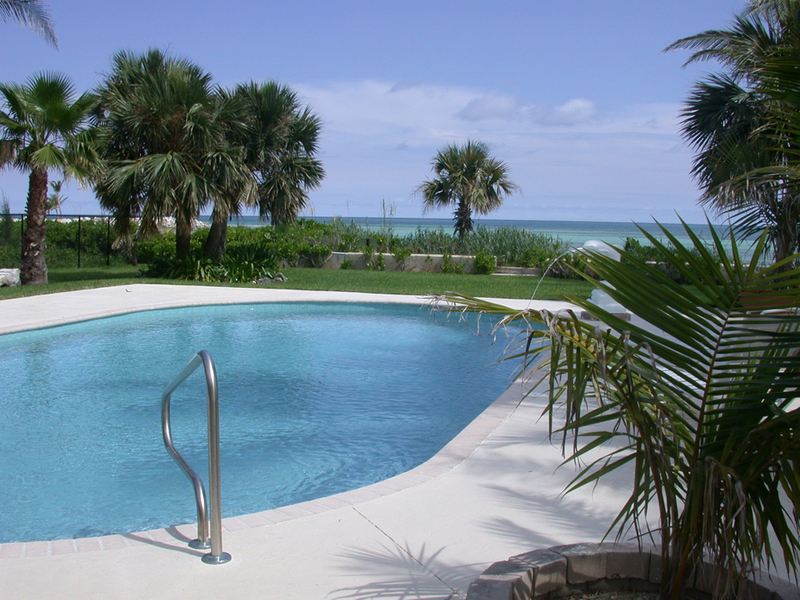 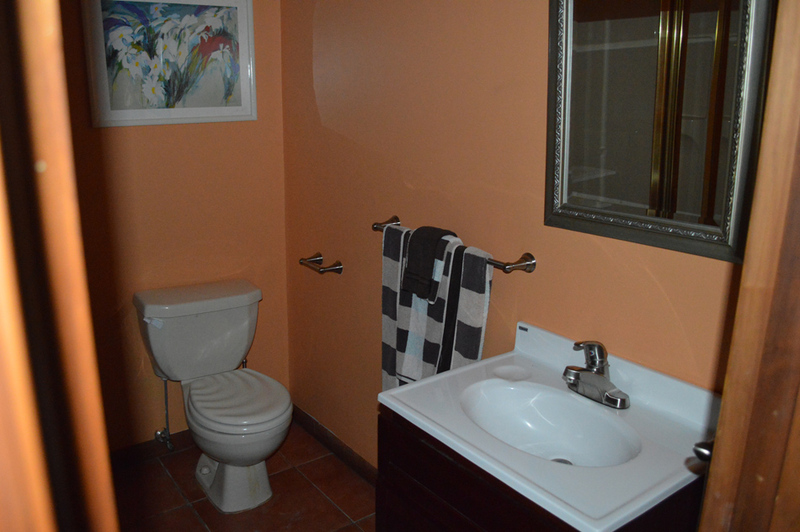 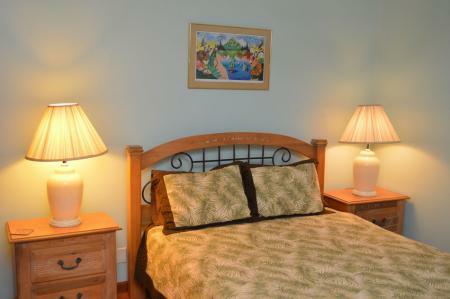 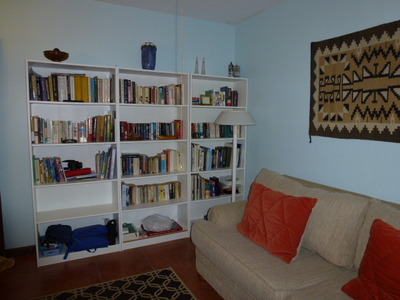 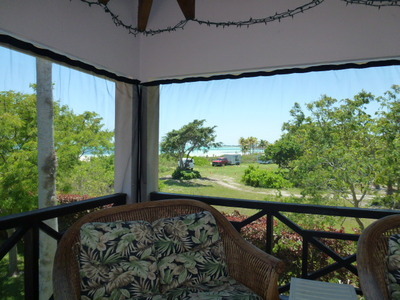 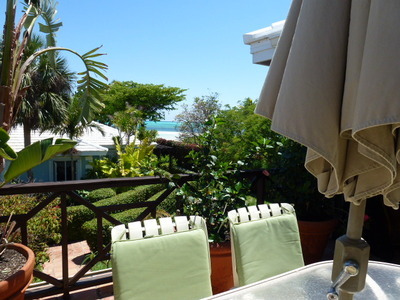 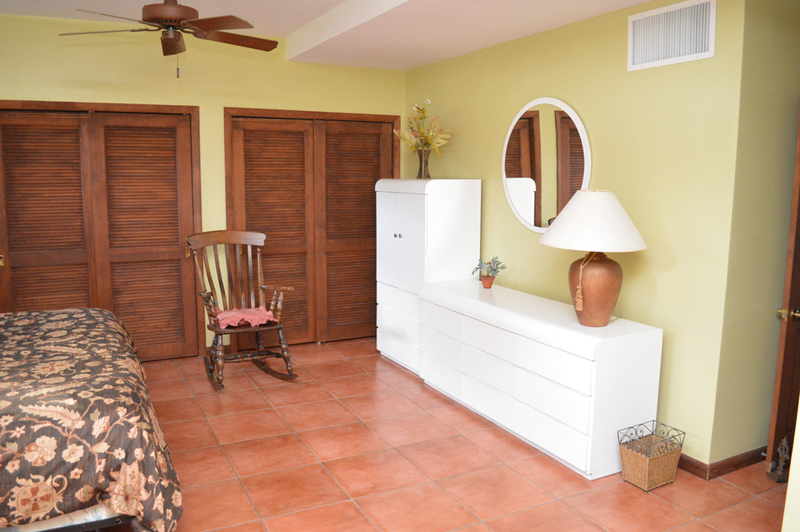 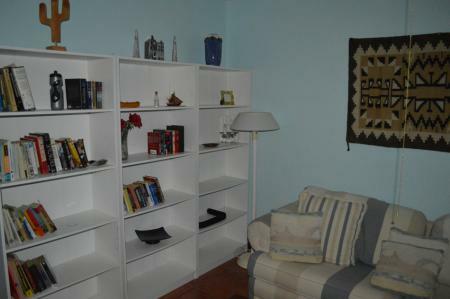 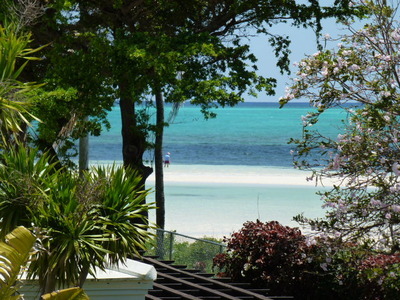 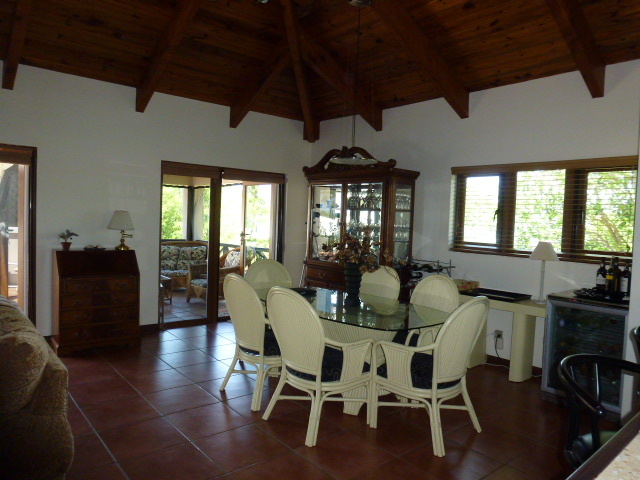 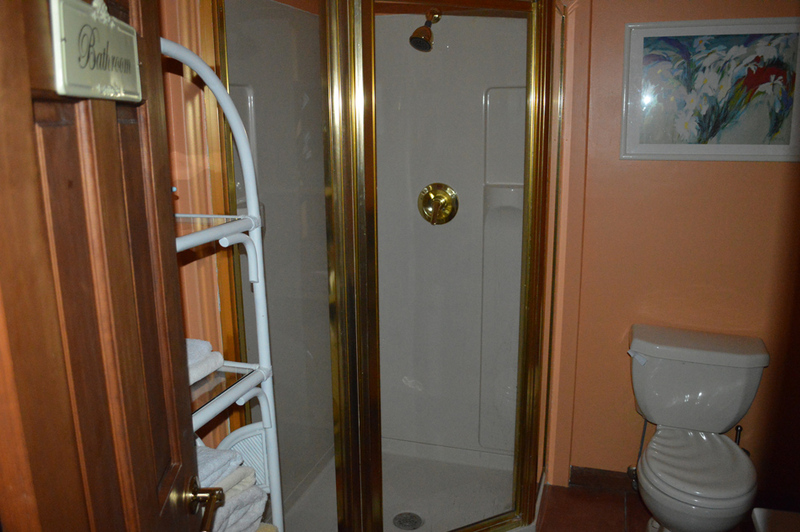 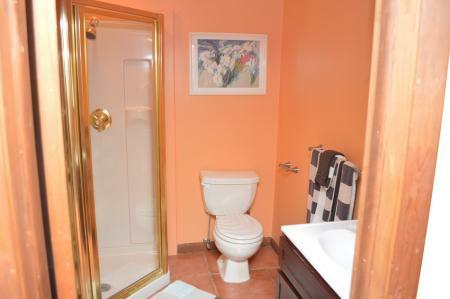 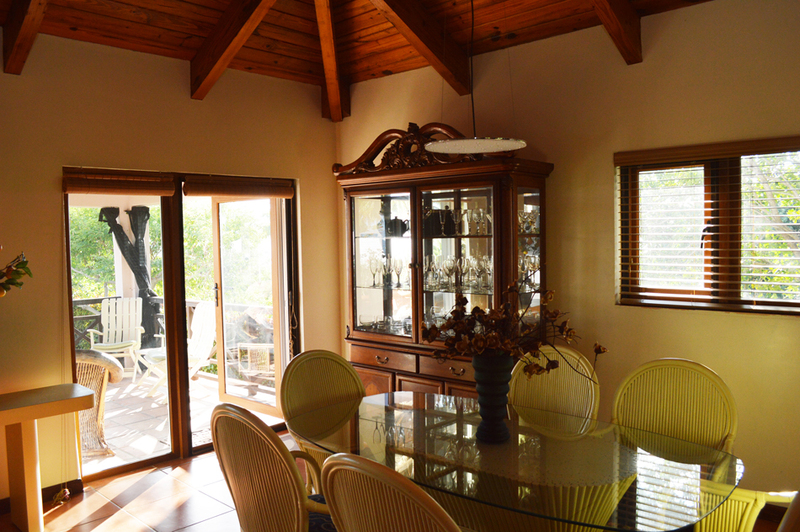 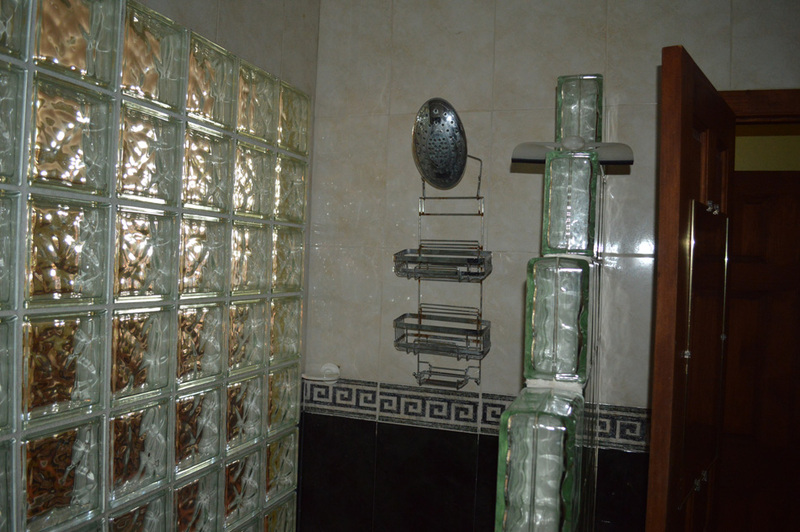 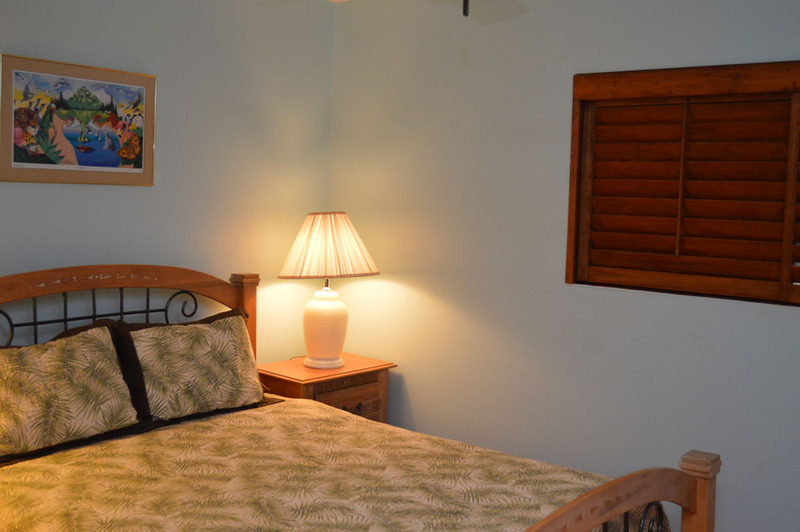 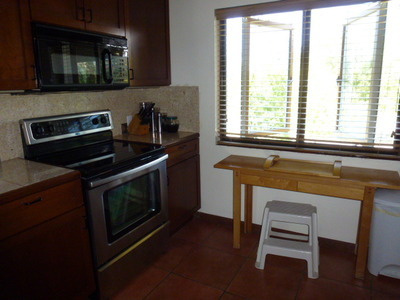 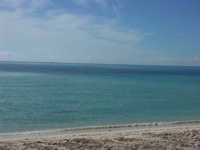 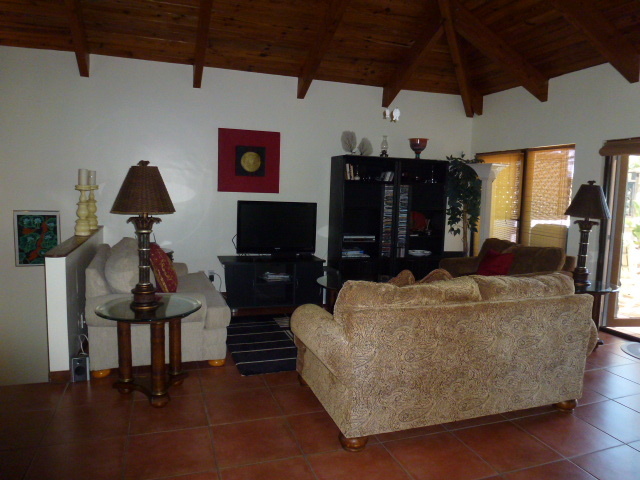 Home > Property in Grand Bahama > Townhouse with Ocean Views! 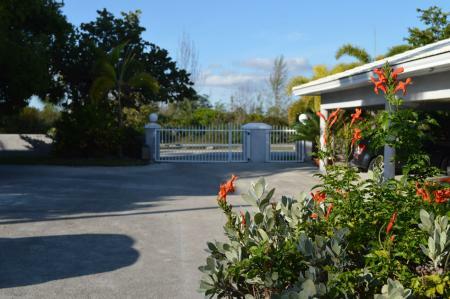 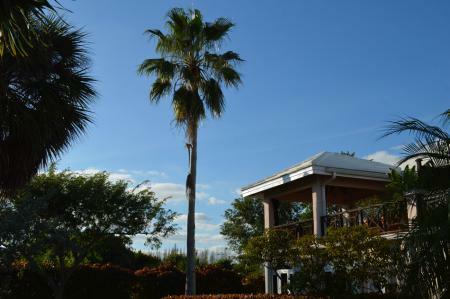 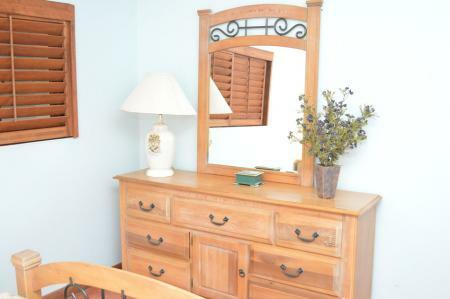 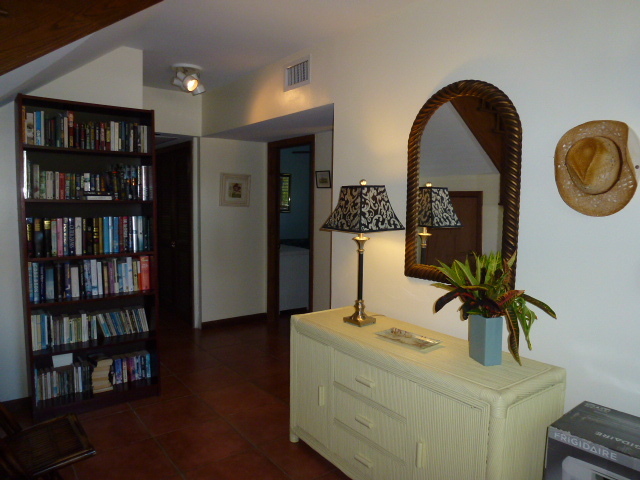 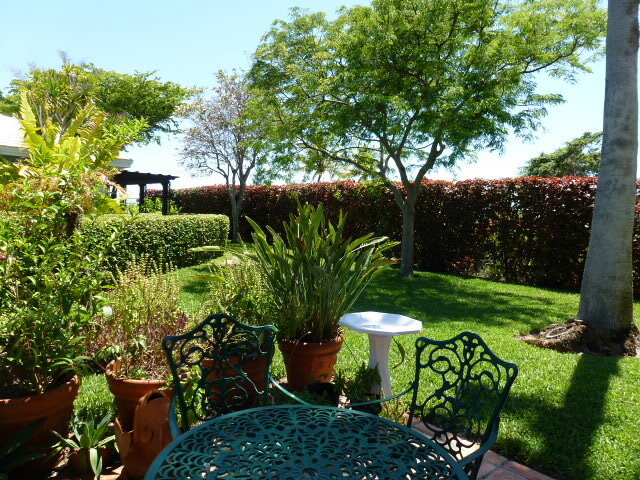 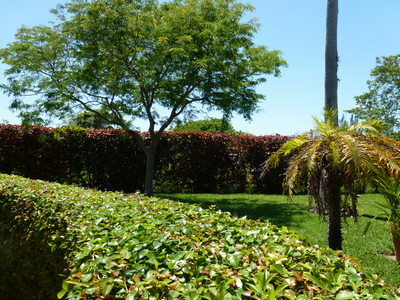 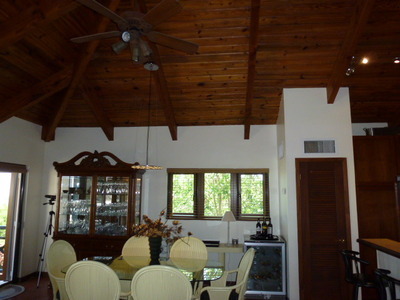 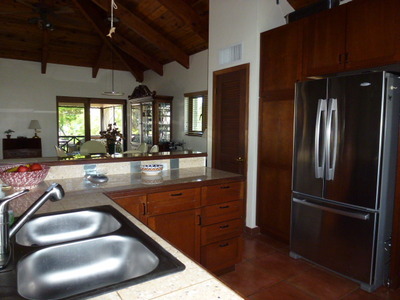 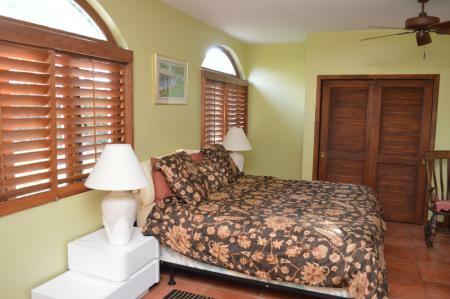 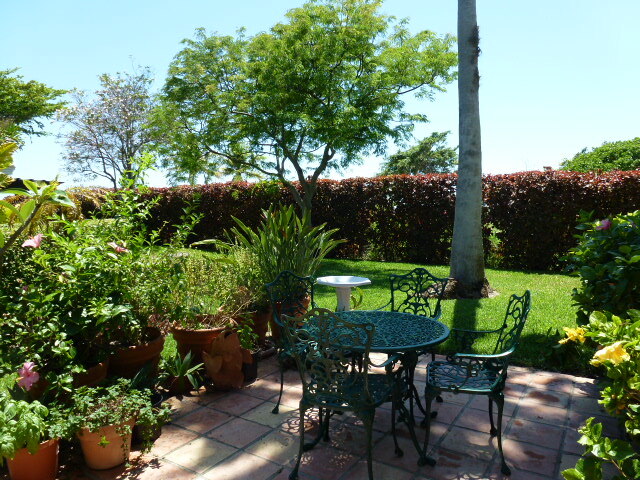 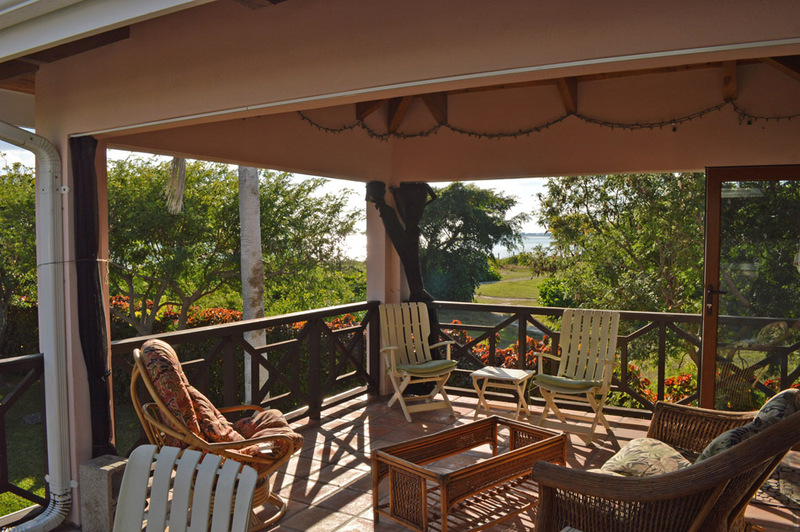 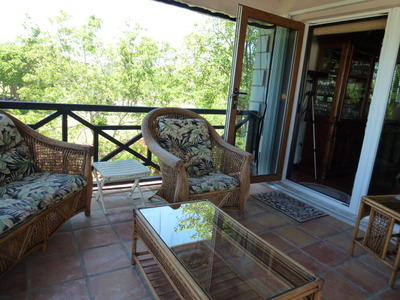 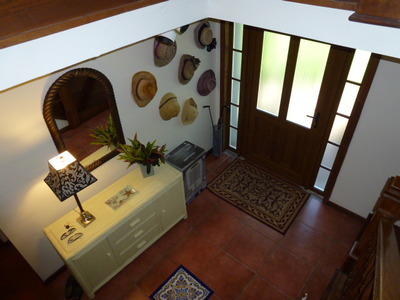 Beachfront gated community, private, ocean views, priced for todays buyers market! 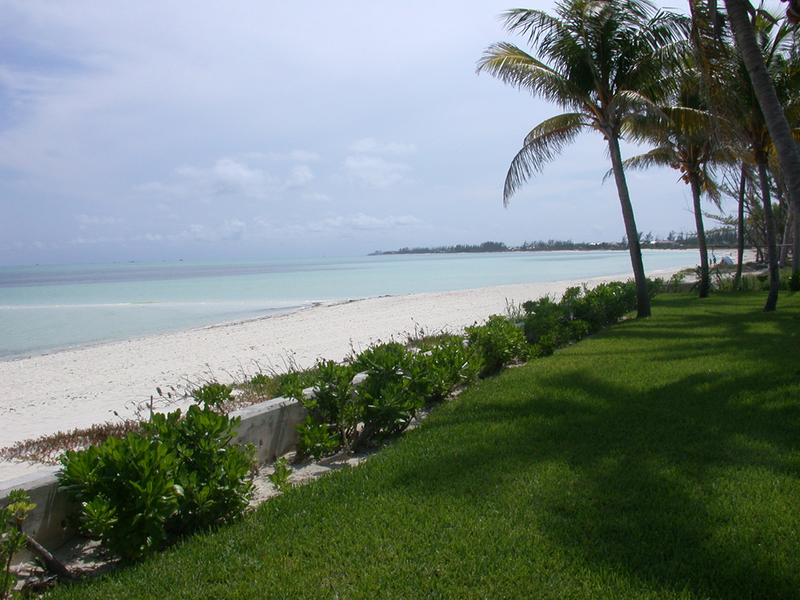 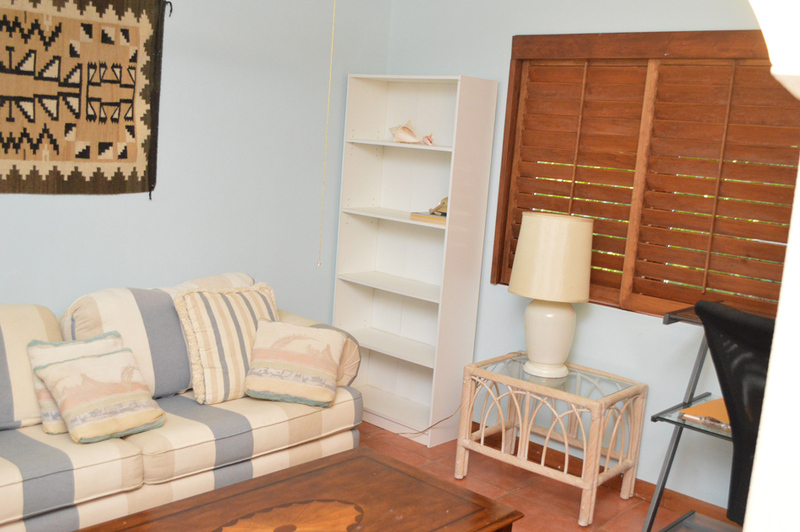 This small oceanfront gated community of Discovery Bay Villas is located right beside Banana Bay beach resturant and just minutes from The Garden of the Groves, Grand Bahama Sailing Club and Lucaya International School. 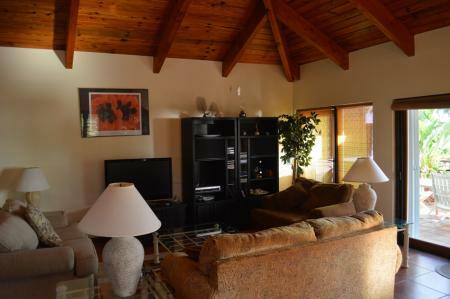 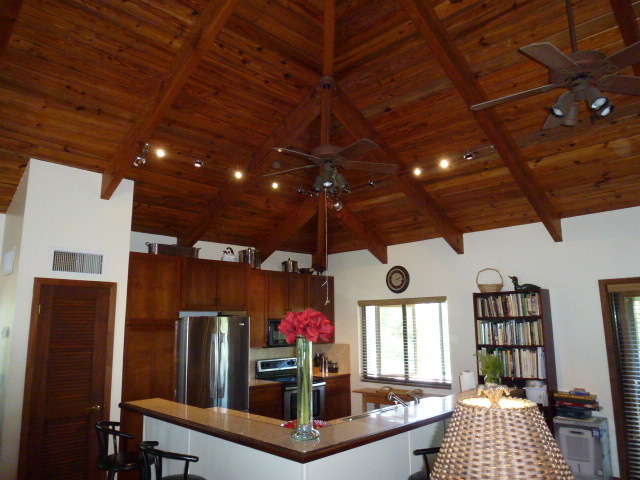 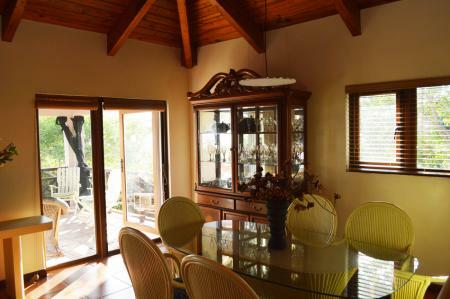 This fabulous home is part of a duplex that is uniquely built with sweeping views in mind for the living areas and all the bedrooms are located downstairs. The staircase also adds architectural interest to the interior that features beautiful Spanish tile and handsome woodwork/ quality finishes. 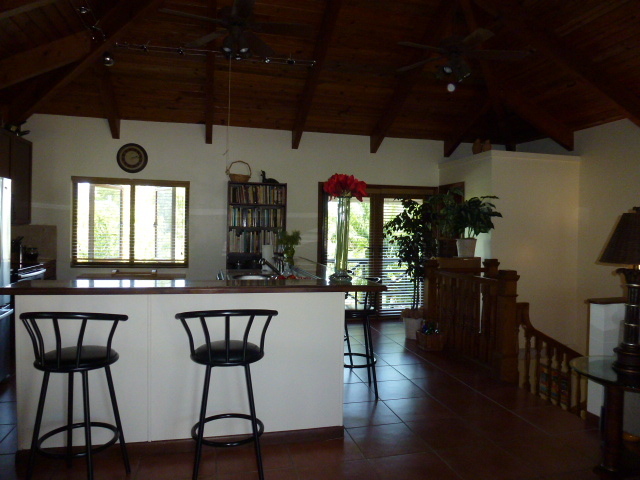 Open plan living and dining areas as well as the kitchen are under gorgeous cathedral ceilings, and large screened in terrace overlooking a quiet beach cove is ideal for evening cocktails and entertaining. 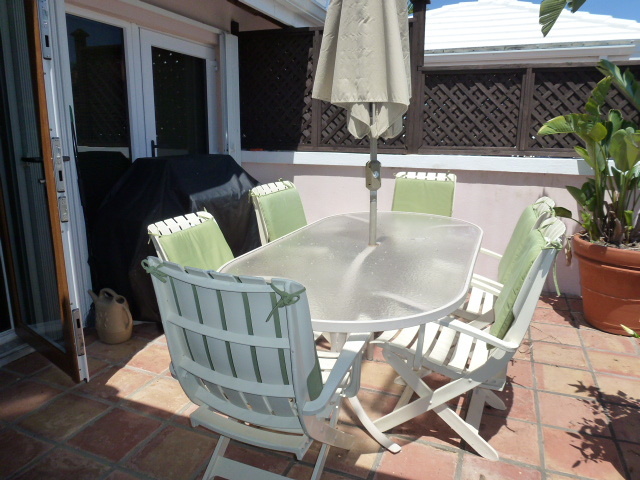 Second smaller terrace area is perfect for barbecuing. 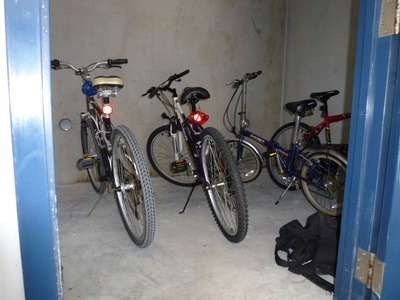 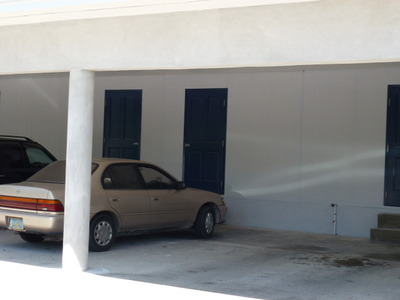 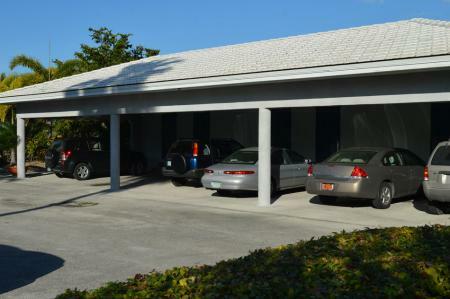 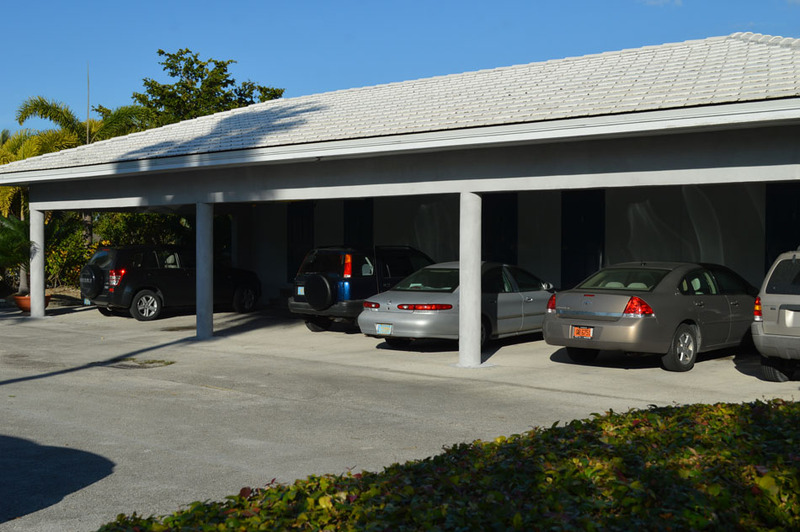 A carport has been constructed for at least one car per unit with raised storage of about 75sq. ft. Don't miss this opportunity. 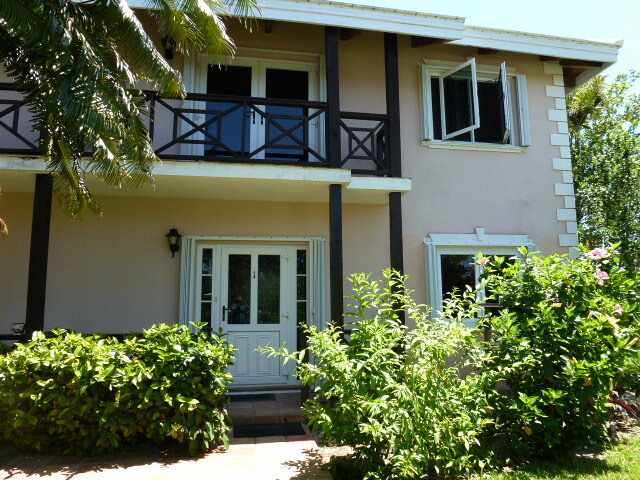 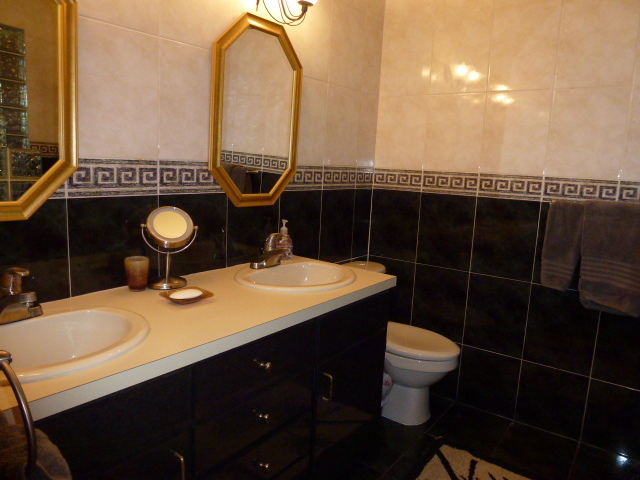 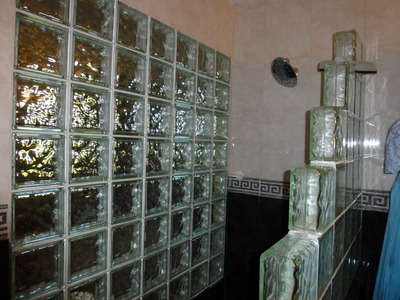 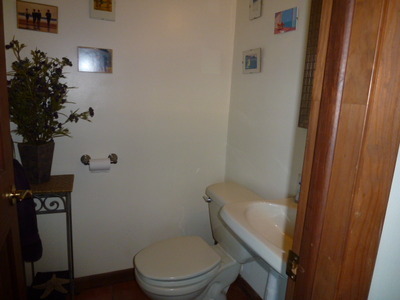 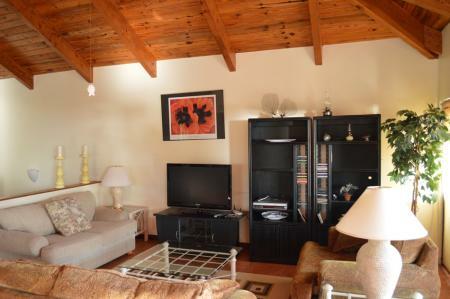 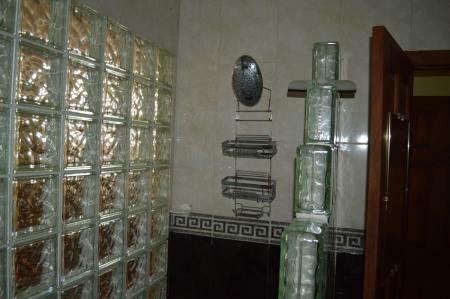 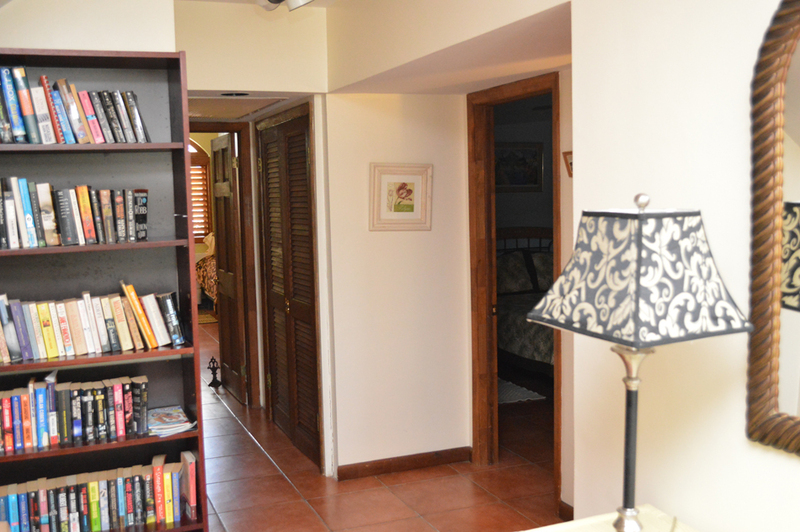 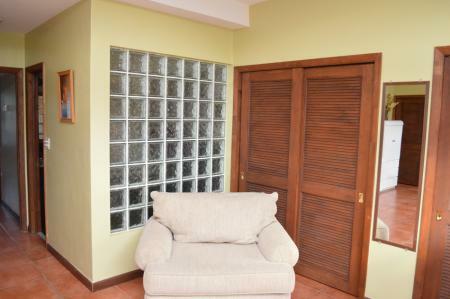 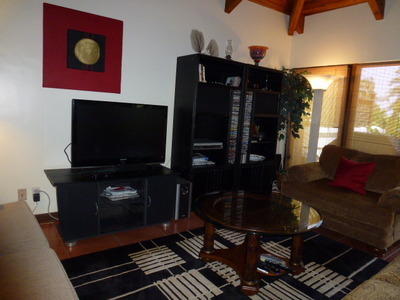 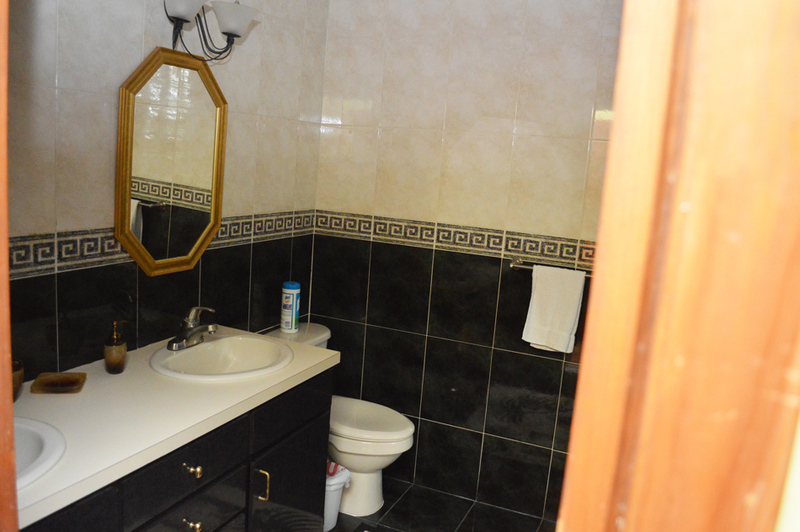 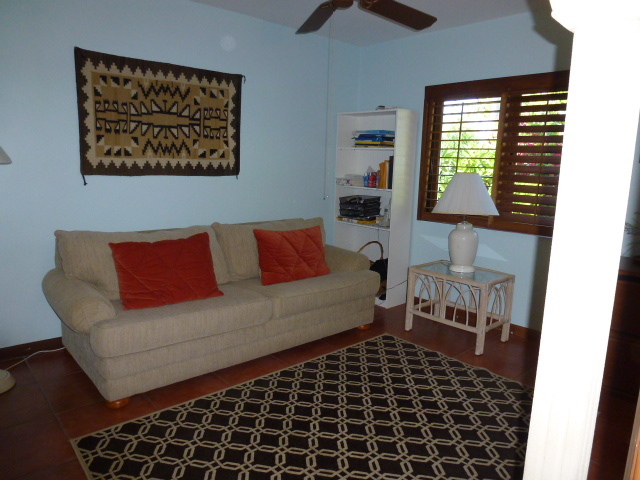 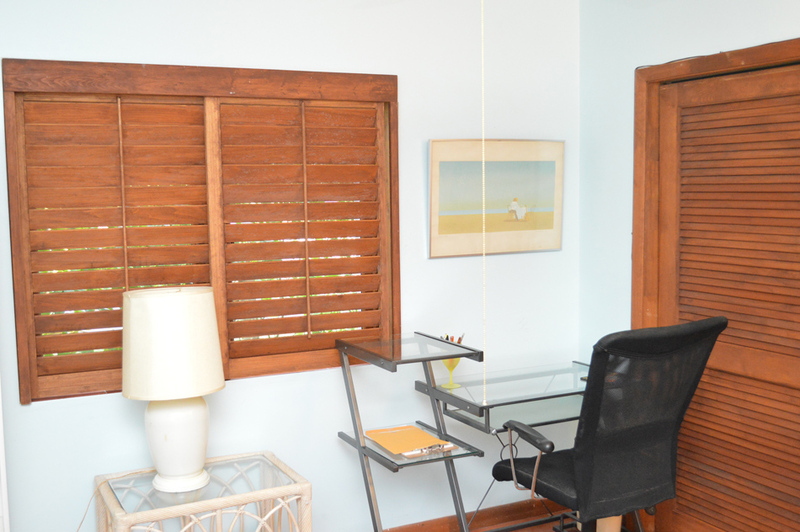 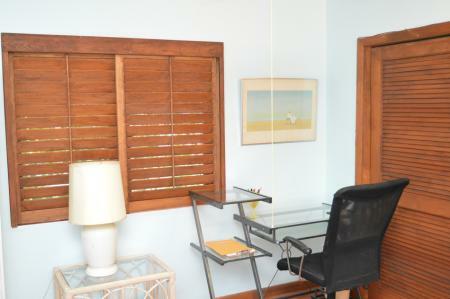 Call Ina for an appointment to view 242 727 0707!